Food festivals are fantastic. I love the opportunity to try so many dishes at one time. I get the same excitement from buffets. 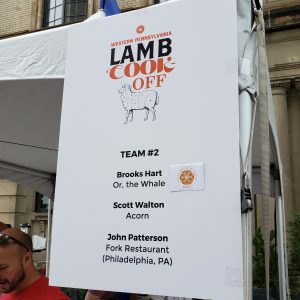 I recently got to attend the Western PA Lamb Fest Cook-off. 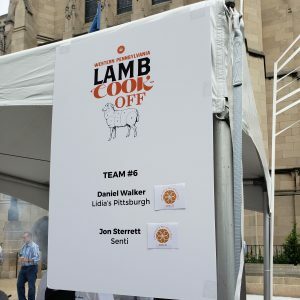 This is an amazing event hosted by Table Magazine and the Ace Hotel Pittsburgh. 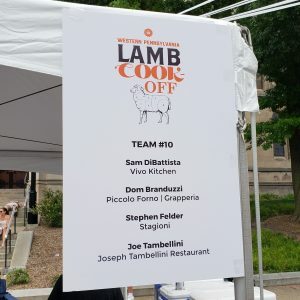 This was also a charity event as a portion of proceeds went to the Pittsburgh Emergency Medicine Foundation. The event asks chefs from Pittsburgh and beyond to team up and cook creative lamb dishes. 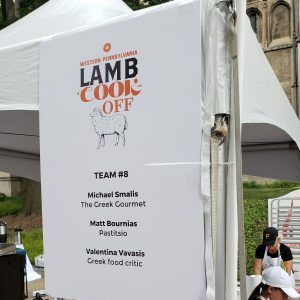 I don’t get to eat a lot of lamb dishes other than gyros so I was really looking forward to attending. On arrival I was blown away but the number of people eager to sample dishes. I had never heard of the event prior to a couple of weeks before. 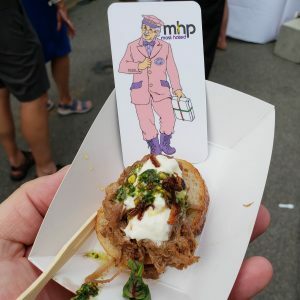 After trying my first few dishes I could complete understand why so many people made it to the event. 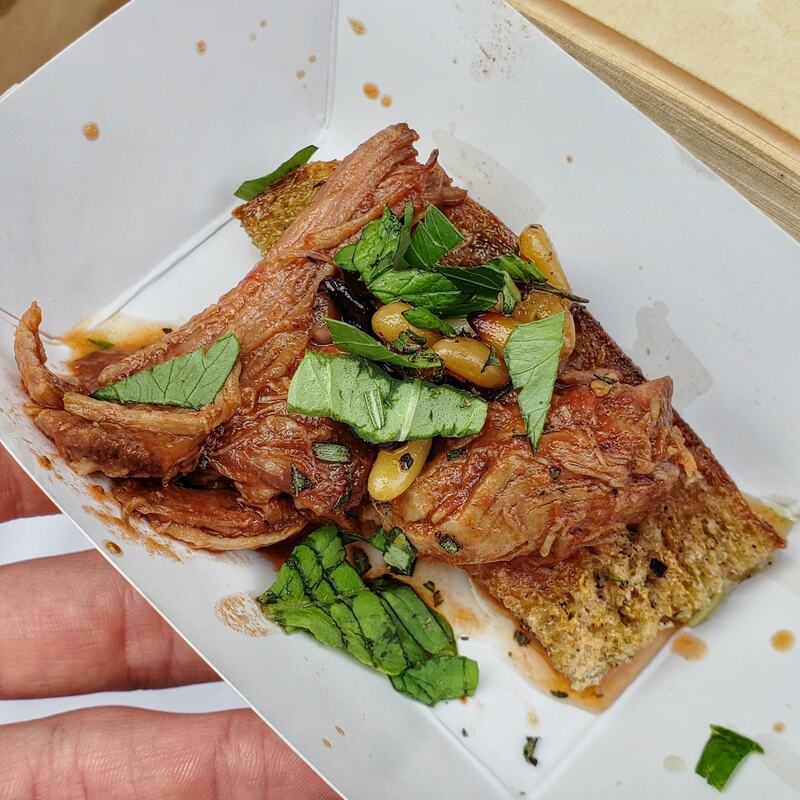 There were 10 different teams of chefs who created incredible things to eat. 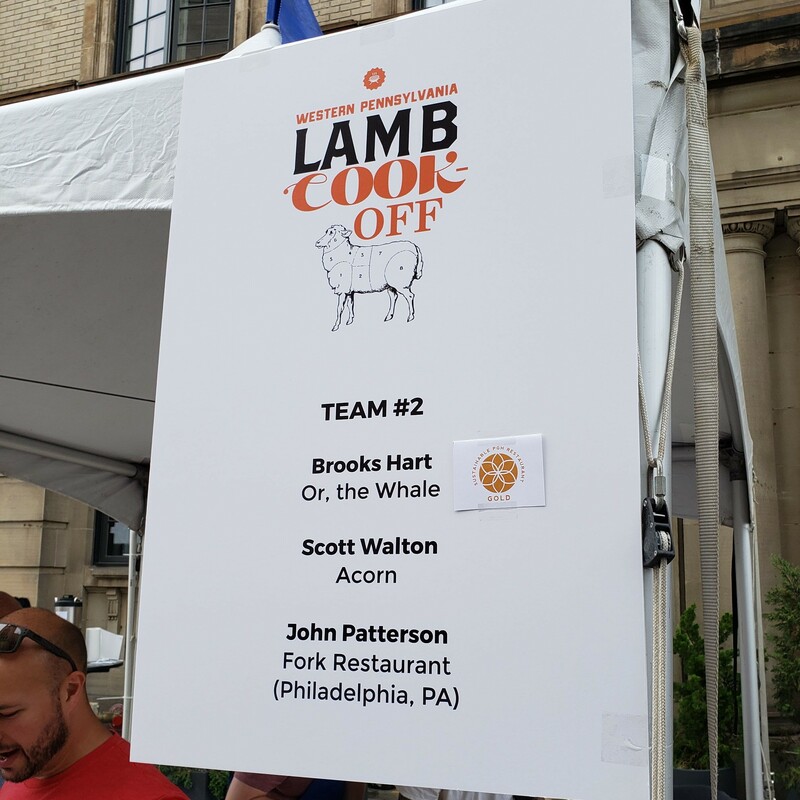 The teams were mostly made up of chefs from restaurants that had similar qualities. Each team created dishes varying from traditional lamb fare like stuffed grape leaves, gyro meat and sausage to innovative like tacos and BBQ. 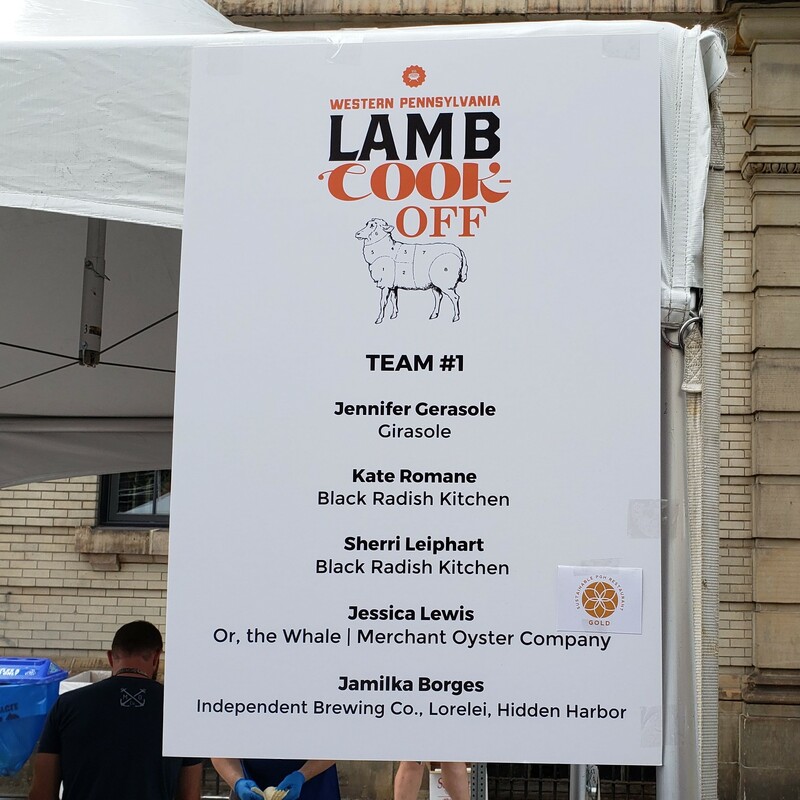 Teams could win accolades for their cooking based on attendee voting and judges voting. In the end, Team 8 won the attendee People’s Choice award. 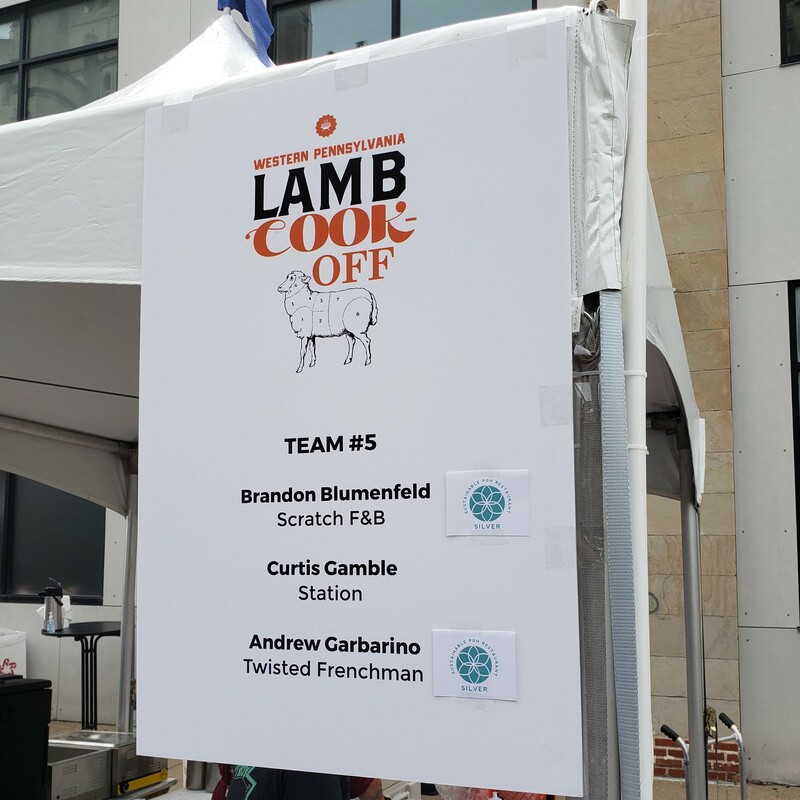 There was a three-way tie on the judge’s voting with Teams 1, 3 & 7 taking home the awards. 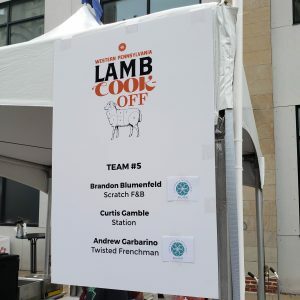 They were the only team to really create a sweet lamb dish. 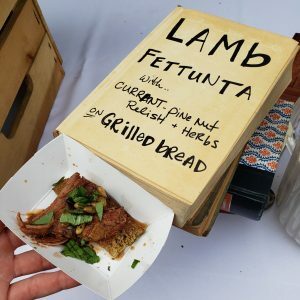 Their dish was Lamb Fettunta with currant-pine nut relish & herbs with grilled bread. 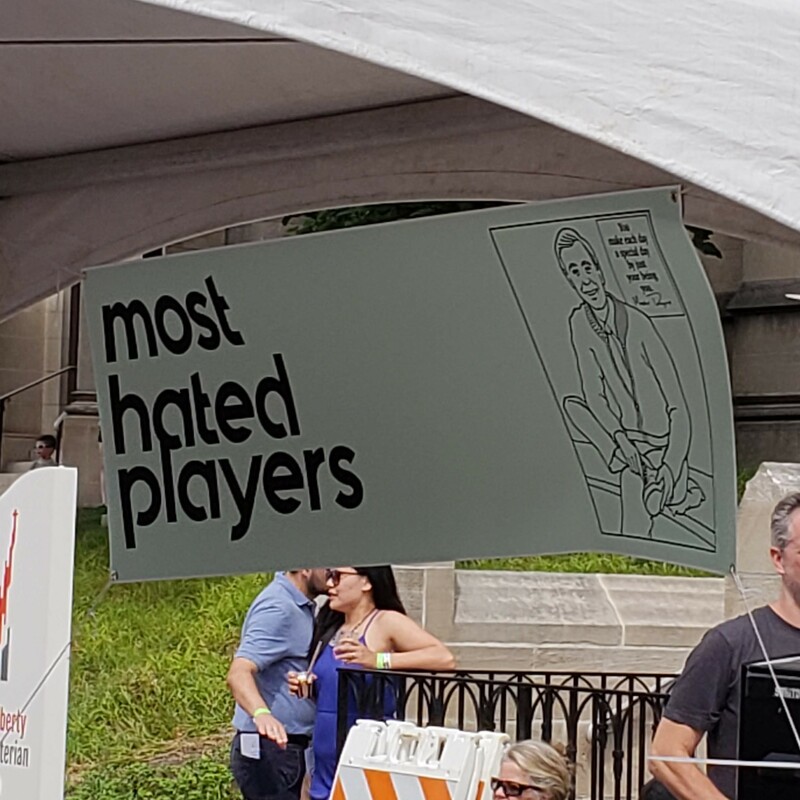 This was one of my favorites of the afternoon. 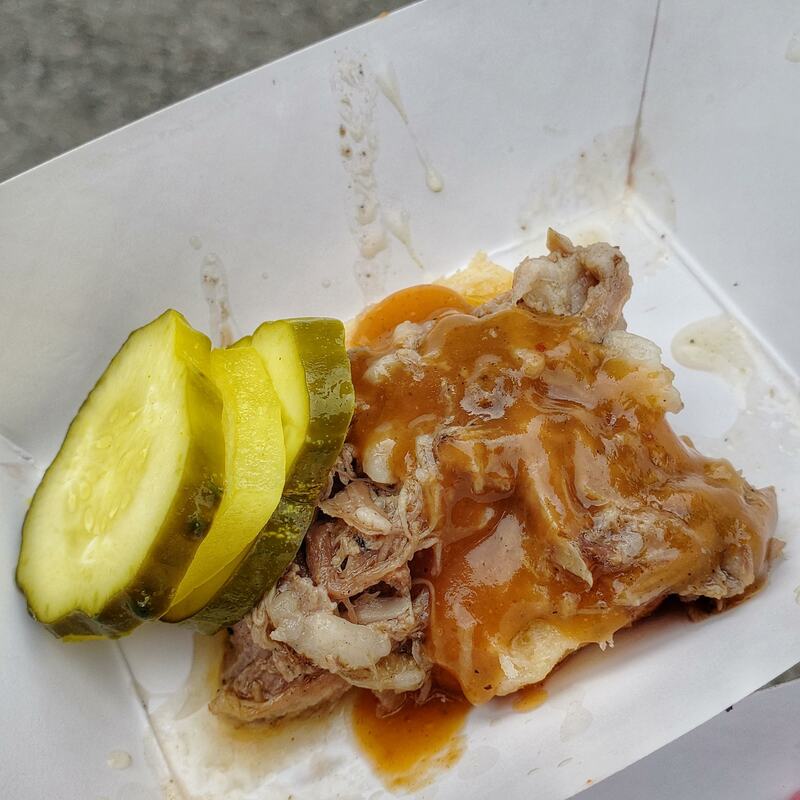 It was great they came up with a dish that wasn’t savory. It really made it stand out from what everyone else was offering. 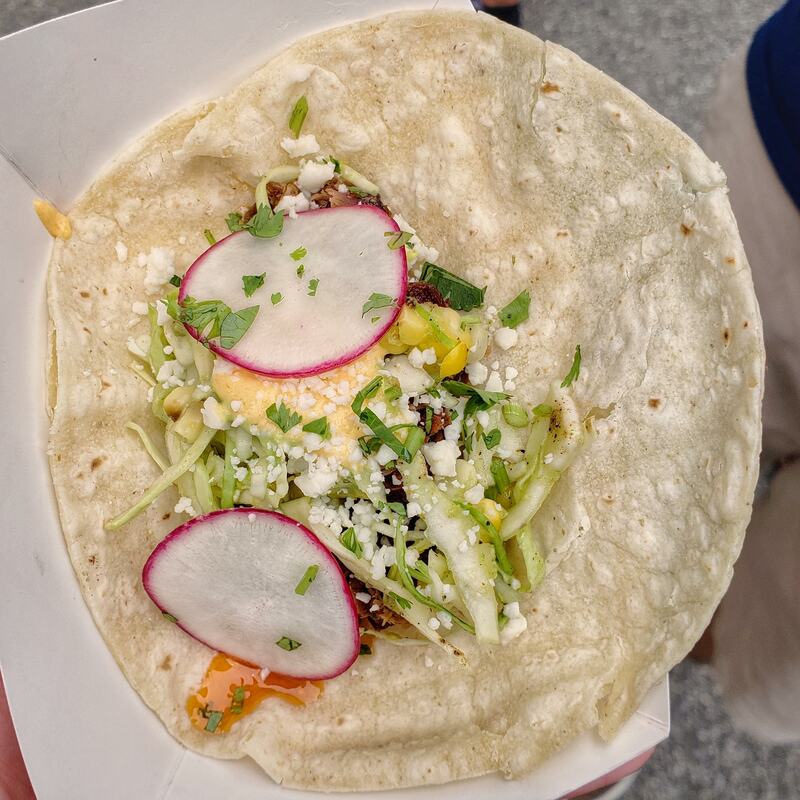 This was the first of the taco dishes. 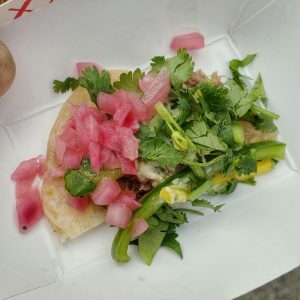 They served a taco with shredded lamb with a slaw and radishes. 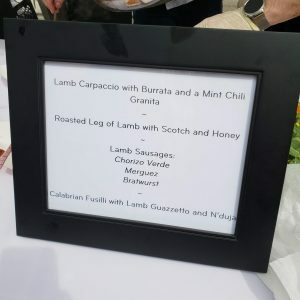 This was one of the more traditional dishes at the event. 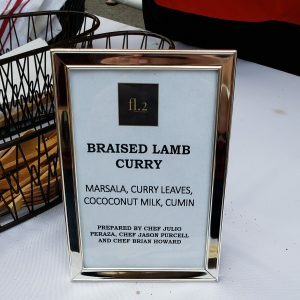 They made a braised lamb curry. It was really good and not too spicy. This was my favorite team of the afternoon. This is saying a lot since I only got to try two of their four dishes as well. 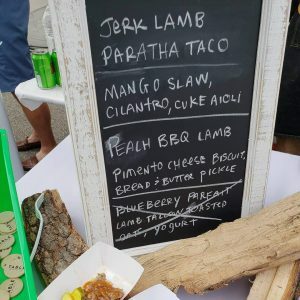 I got to try the Jerk Lamb Paratha Taco and the Peach BBQ Lamb. These were both fantastic. The taco had a nice spice to it contrasted with a great pickled slaw. The peach BBQ lamb was the only other dish that really had a nice sweet flavor to go against the savory dishes. This was dish alone was what made me vote for them. I missed out on Blueberry Parfait with Lamb Tallow Toasted Oats that everyone was raving about. It was the one dish I was disappointed to not get to try. 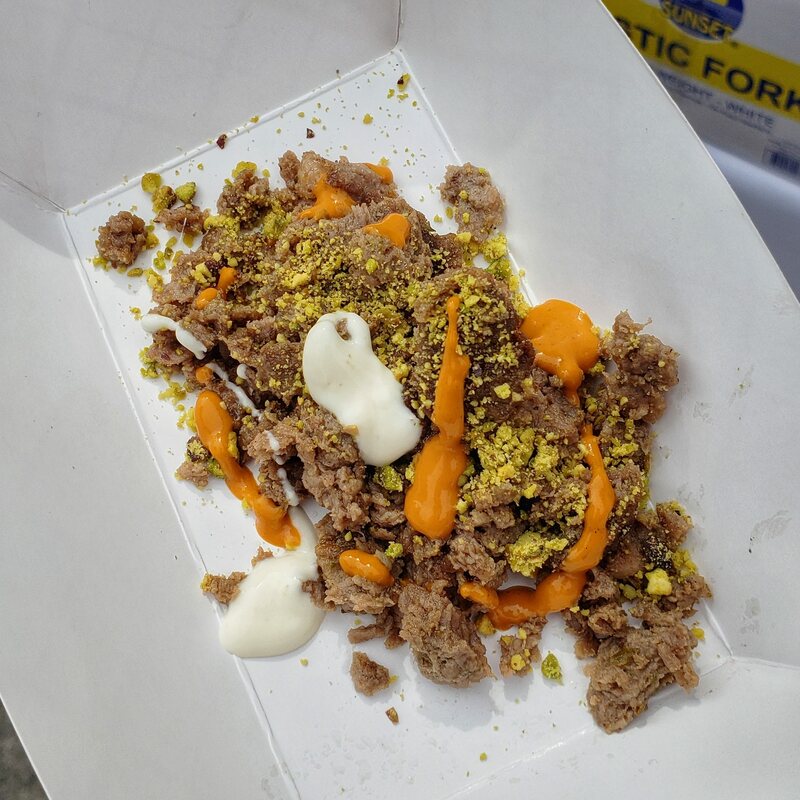 They made a ground lamb with a pistachio crumble. This was a really good combination for flavors. 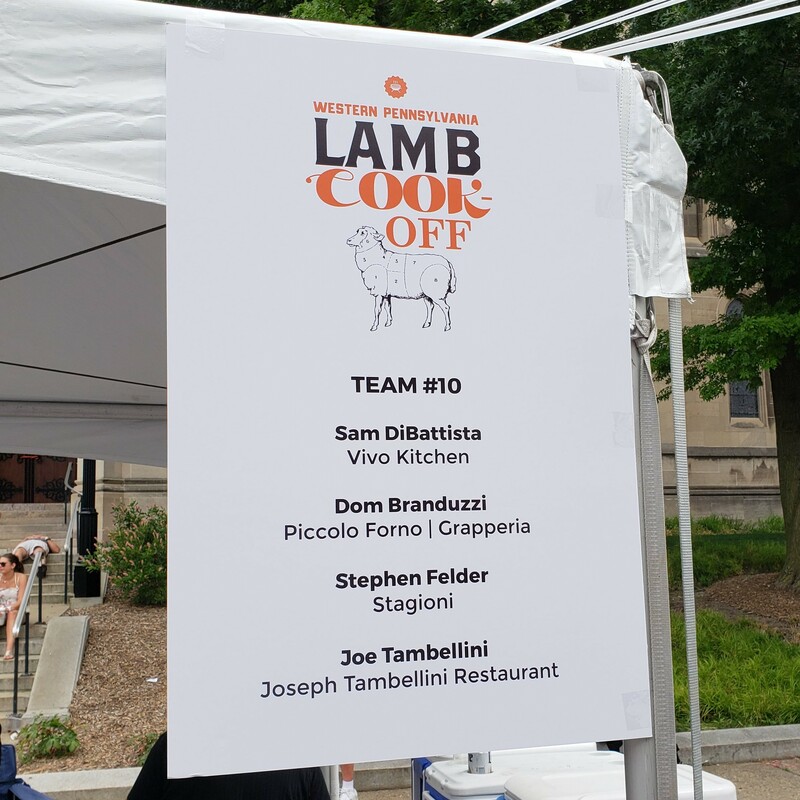 The pistachio was unexpected but sets this dish out from many of the others since it was not a common flavor to combine with lamb. 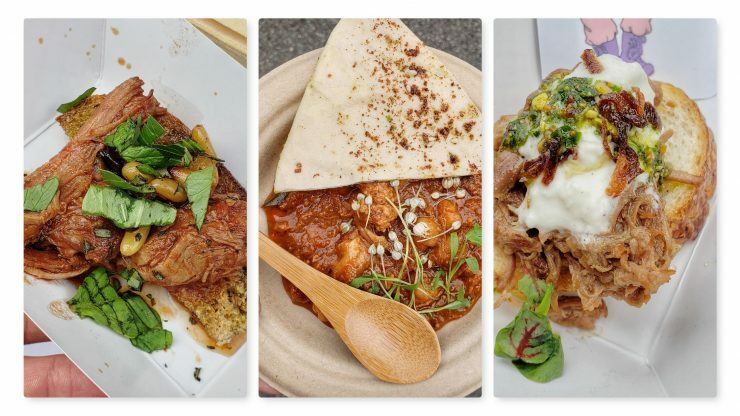 I only got to try two of their four dishes. 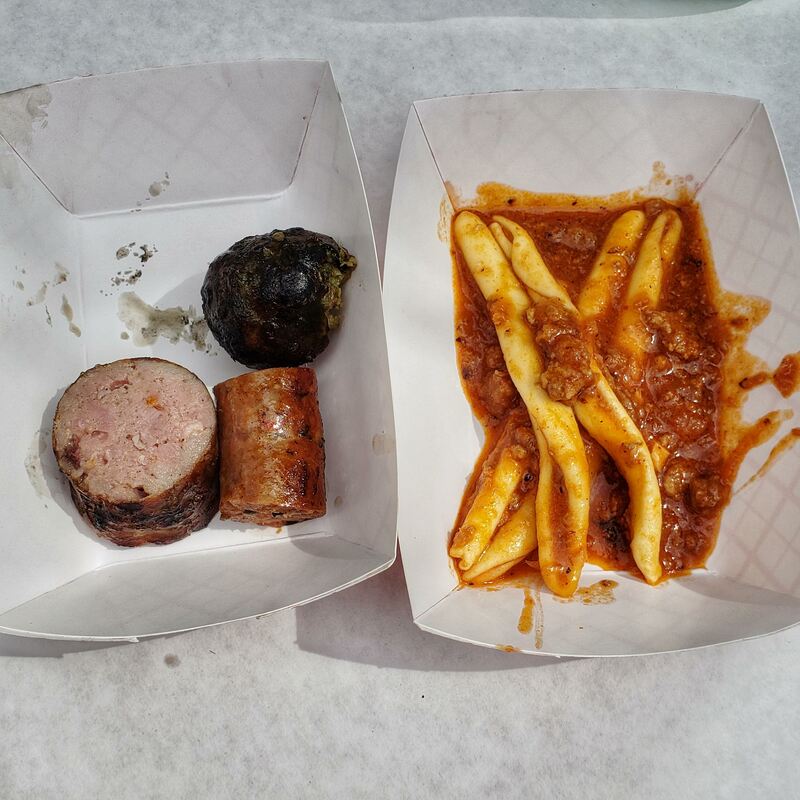 I tried their lamb sausages (chorion verde, merguez and bratwurst) and the calabrian fusilli with lamb guazzetto and n’duja. There was a lot of hype around this team. The Chefs from Umami won the cook-off the previous year. 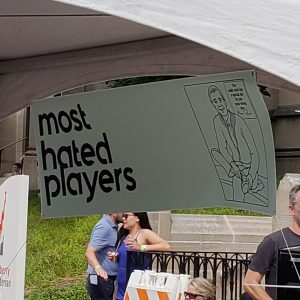 This year they were going by the Most Hated Players. They had the longest line of the day and I only got to try one of their dishes because of the long line. 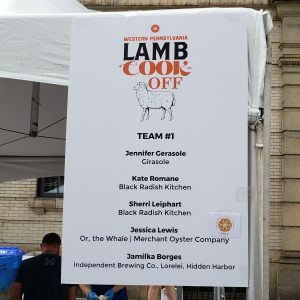 The wife of one of the chefs was even their hype woman talking them up to everyone in line. 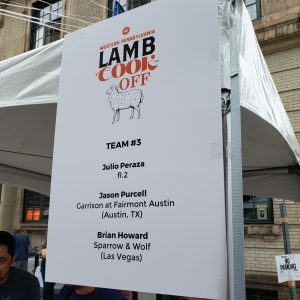 I got to try their lamb burrata. It was definitely worth the wait. 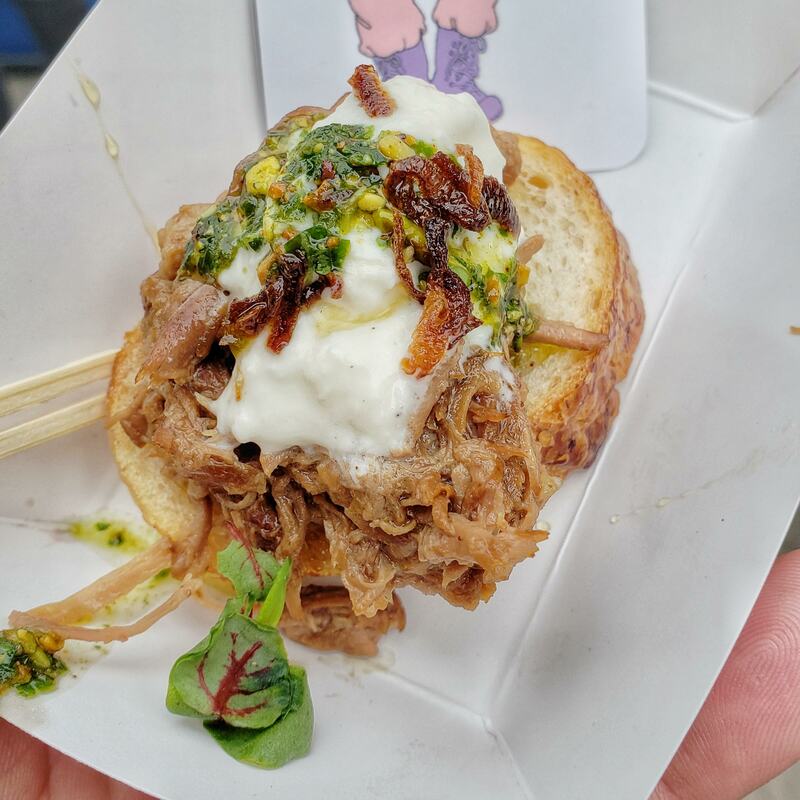 The cheese was nice and creamy and the lamb tender and savory. 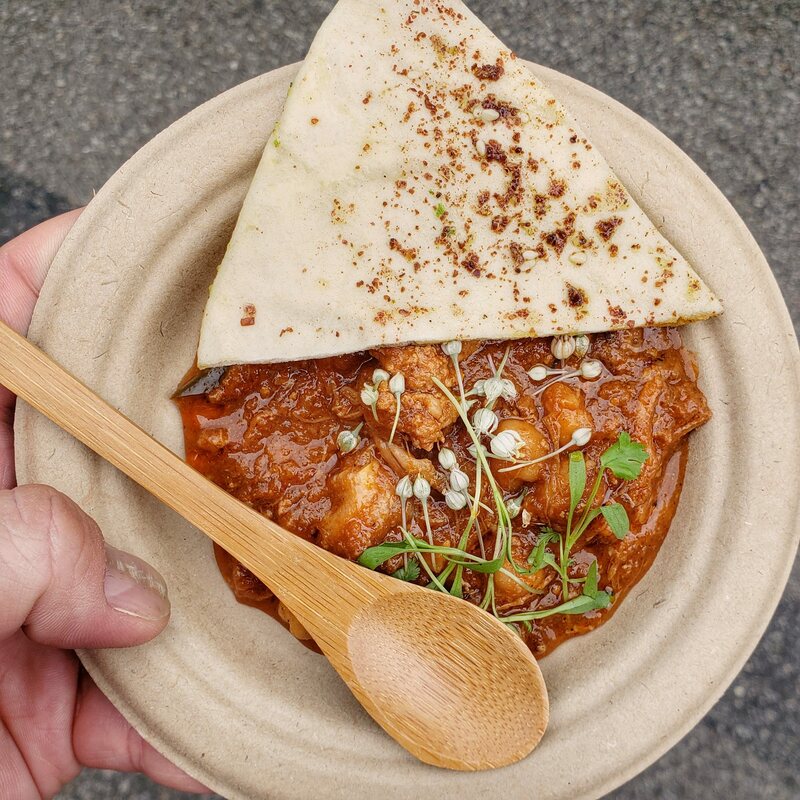 I do wish I had the time to wait in line again to try another dish. This was the Greek team. 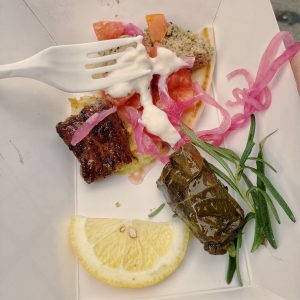 They were serving the traditional gyro lamb meat, stuffed grape leaves and a vegan chocolate ice cream. 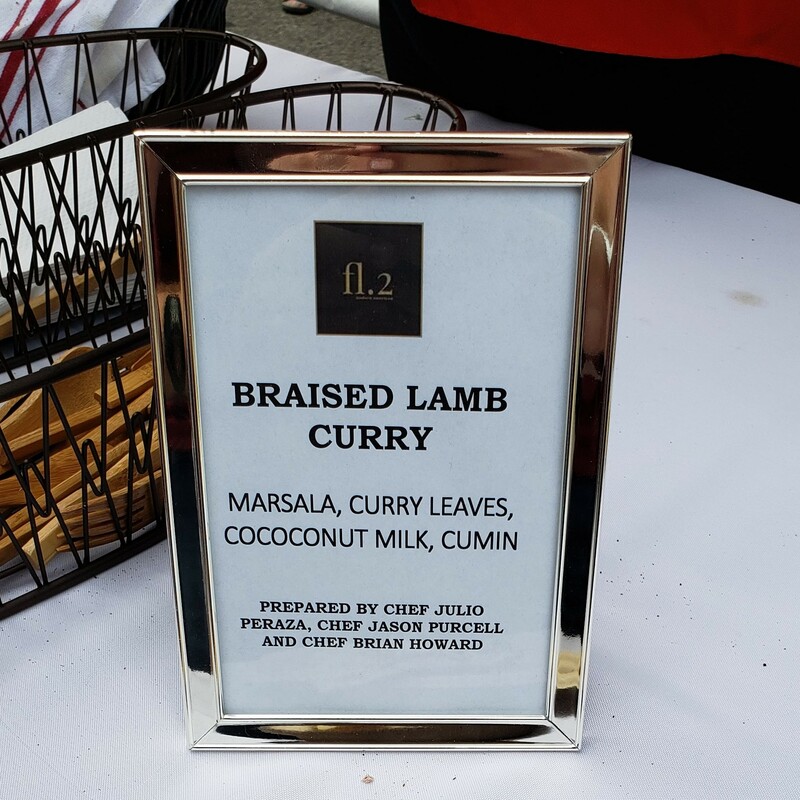 These were all a pleasant dish because it comforting to have the one lamb dish so many people are used to eating. 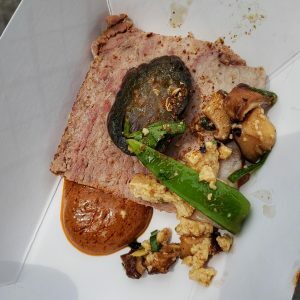 They created an interesting roasted lamb with shishito pepper, mushrooms and tofu. 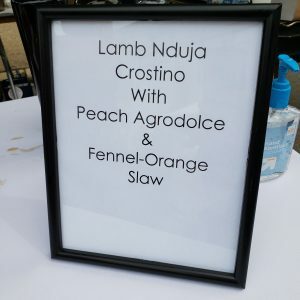 This was an interesting mix of flavors. 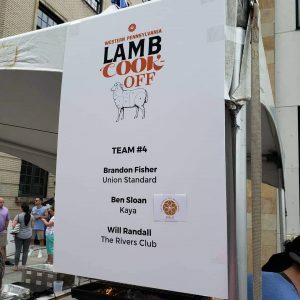 This team created one of the more unique dishes. 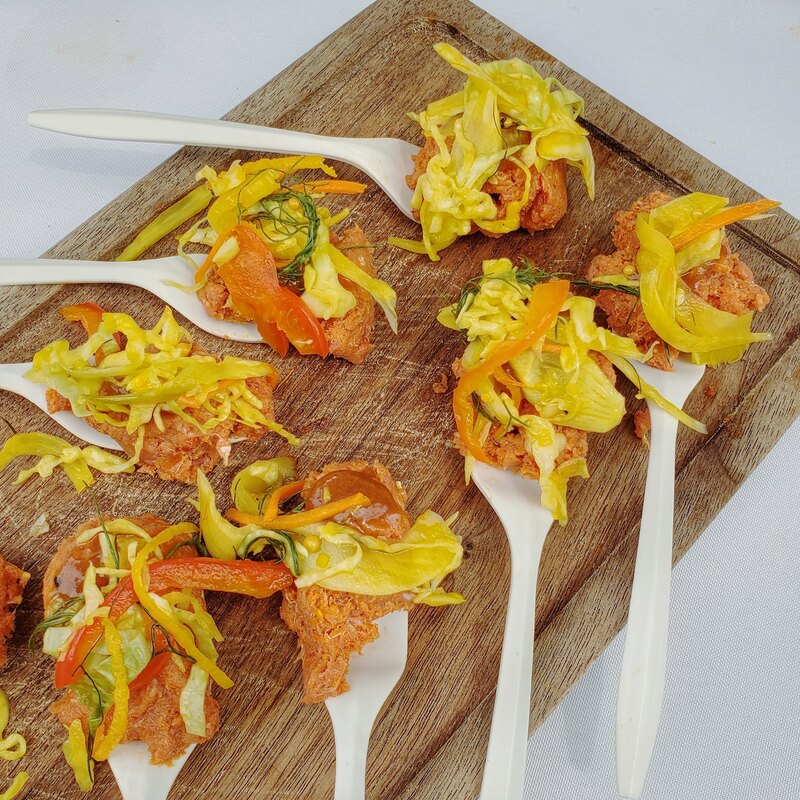 They created a Lamb Nduja Crosino with peach agoddolce & fenel-orange slaw. This was interesting because it had the texture of a tartar. 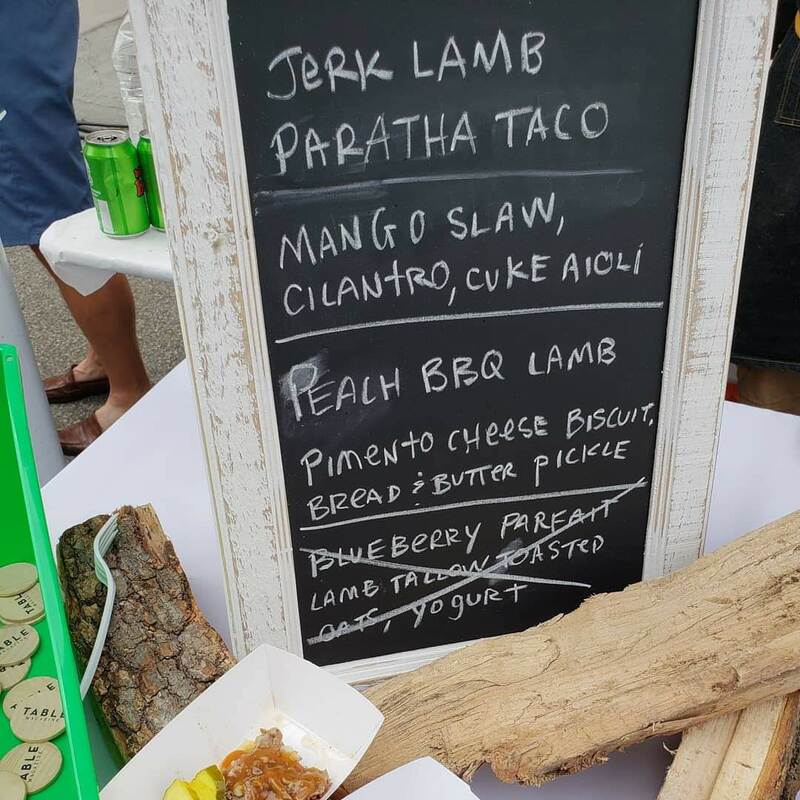 The peach gave it a slightly sweeter kick to offset the savory, but it really didn’t overpower.